1. 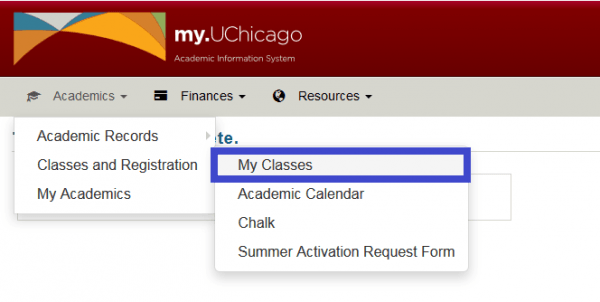 Log-in to My.UChicago and under Academics>Academic Records click on Summer Activation Request Form. 2. In order to register for coursework, you must be active in the term. 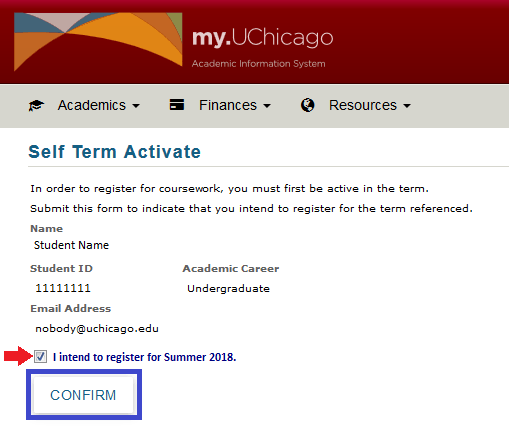 Click the box to validate that you intend to register for the upcoming Summer quarter and click Confirm. 3. Once confirmed, you will receive a pop-up message if the term activation process was processed successfully. Click OK.
4. 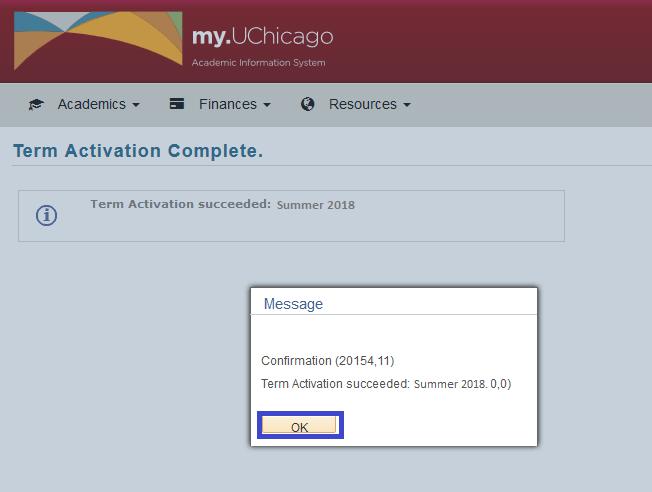 To register for the Summer quarter, navigate to Academics>Academic Records and click on My Classes. 5. Using the Term field pull down menu, select the appropriate quarter. If registration is not yet open, you will see a pop-up message at the top of the screen letting you know when registration will begin.